It's been more than five years since the American Society for Jewish Music held its ground-breaking confernece, "Reclaiming American Juda-ism's Lost Legacy - The Art of Synagogue Music." 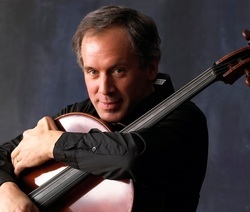 New York Philharmonic cellist, Eric Barltett. A one-act opera for soprano and baritone, written as a companion piece to "The Stonger," with a libretto by Chalres Kondek, the libretist of Weisgall's opera "Esther"
Good afternoon. I’m delighted to be here with you, at Hebrew Union College, for this significant occasion, and honored to be in the company of this minyan of fine composers whose music has meant so much to me over the past forty years. I have great admiration for so many educators with us today whose knowledge and dedication sustains us all. Most of all, I’m privileged to address you regarding the state of sacred music in Jewish worship and the challenge of reclaiming a sense of balance in our devotional choices. The loss of balance in all aspects of our lives today may be the strongest characterization of this new century. Inflated prices, salaries, and egos, unbridled entitlement, and the valuing of status over accomplishment have turned everything topsy-turvy including our relationship to God as manifested in our worship. Without advocating any one music style over another, or a return to the stile antiqua of times gone by, I do wish to offer you an alternative opinion, which favors a balanced return of artfully conceived, sacred music in Jewish worship that welcomes the company of many styles both old and new on the balanced bimah. I will also argue that elevated words and music serve different but equal functions and are to be respected as co-partners. I’ll conclude with a menu of strategies to recapture this equilibrium. Nevertheless, the greatest challenge for artists In Jewish life, remains to balance communicating the highest individual vision of our interpretive ideas in a way that is accessible to the most diverse audience. The push and pull between the individual and the group, the balance between I and we, is what has always determined the success of an artistic expression. If the construct is too singular it transcends the sensibilities and faculties of too great of an audience. On the other hand, if it is conceived and produced for the lowest common denominator of perception to solely divert, attract, or more insidiously, distract the largest numbers, that art hardly amounts to more than a momentary amusement, or worse, a misguided corruption of a noble purpose. It will quickly disappear into that great sea of mediocrity, which defines our present culture. This balance equation is certainly not new. It has been addressed throughout history. Baruch Spinoza, and his accomplished disciple, my teacher, here with us today, Samuel Adler’s adopted motto is one that we would all do well to consider during these discouraging times of imbalance: sub quandum specie aeternitatis… “under the certain aspect of eternity”. In the larger picture, it is hoped that great works will endure and prevail over quick fixes. And, like belief in God, it is our leap of faith to hold onto during these moments of musical disregard and imbalance. Professor Yohanan Muffs of the Jewish Theological Seminary points out, in his collection of essays Love and Joy, that this is also the duality of the God of the Torah. The Creator of Creators, the Artist of the Universe, is a deity who continually seeks to balance I and We, being an Eternal God of timeless justice, a God of transcendence, with being an engaging, loving, God for the people and the moment at hand. Finding equilibrium between these two dynamics is both God’s mission and the essence of the struggle of all those mortals who dare participate in the godly business of artistic creation. It has, is, and will always be about balance. We live in an extraordinary period: it is the best and worst of times. There is a seductive, explosive mix that contrasts cutting edge innovation in technology with a rather uninspired and certainly less than elevated sense of aesthetics, which retreats to the regressive, parochial right, or juts out on the absurd extremes of the left. Brew this in a cauldron of carte blanche entitlement enabling everyone who creates anything, no matter how elementary, to call themselves a Jewish artist and we, indeed, have a narrow shaky bridge to traverse along on our people’s journey. It is a striking paradox. With all manner of communication advances on the Internet and in music recording formats sent along the digital global pipeline in nanoseconds, communication hardware and software has never been more sophisticated, so able and ready to inspire, yet, so often, the resulting words and music seems throwaway and adolescent. Creative opportunity has never been more available yet, so dramatically underutilized, the possibility for artistic elevation so immediate, yet, pragmatically remote. There is a plethora of singing songwriters touring the synagogue circuit, but where are the talented, trained, synagogue composers and accomplished concert ensembles to offer musical insights so unrealized at present? Where are our successors? Why haven’t our temples nurtured and welcomed them? What has gone awry? What is really going on? And what are we to do in the immediacy of this banality to return to a nexus of elevated intellect along with soaring spirit in our liturgical devotions? How do we recapture a sense of dignity in our life cycle, and spiritual art music? Jewish music today along with all the arts is the inevitable fruit of an overly democratized techno-artistic arena. At this juncture, with few exceptions, it is characterized more by its parody of secular popular forms than by original midrashic insights into generative texts. But, as Rabbi Shalom Shakna ben Yosef, notes in Buber’s Tales of the Hasidim, “Good cannot come without opposition”. Until the cream rises to the top, or there is a collective cry of “Enough!” we must endure in our synagogue music an abounding unevenness both in thought and sound. When I was a composition student at the Eastman School, my Professor of composition Warren Benson, of blessed memory, taught that in order to make organic music come alive one must, in a finite fashion, analytically look at the music of the moment, that single, precise measure sounding in front of you, and ask three questions of it. These same questions apply for all active listeners as well. 1. How does or doesn’t this present measure reflect the idea’s past history? 2. Why is or isn’t this present measure sonically attractive and compelling? 3. What energies are or are not introduced in the present measure that will propel the idea’s journey into the future? Where did it come from? Where is it now? And where is it going? Benson taught that if you can satisfactorily identify and answer these three questions regarding the past, present and future of a musical idea then you are fully aware and truly understand both the power and the inherent weakness of the idea at hand and how to make it organically grow, improve and, ultimately, communicate more meaningfully with the listener. As a Jewish composer, who began as a Yeshiva bocher over the bridge in Brooklyn, this was hardly new to me. Each historic Mishnah in the center of my Talmud page, resonating the oral law of the past, was powerful enough to warrant the attention of scholarly discussions from its own time as well as those from its future. It also energized our passionate arguments in the present day, long into our future consciousness. It was all on the same page. I understood, then, how both Jews and musicians simultaneously live in three time zones. Past, present, and future are an organic unity in our individual and collective cognizance; when any one or more of these three time frames is misunderstood, discounted, or ignored, the music pales, and the quality of our Judaism diminishes as well. One might ask at this juncture “How well does our past as Minhag American Jews inform our present and energize our future? To address the question, let’s apply this analytic, technique to the present measure of Jewish music in our temples, better to understand both its attractiveness and weaknesses, to gain insight and offer recommendations for its improvement and organic growth in the future. First, an empirical description of the music that is predominantly being played and sung in our reform worship services today and a growing number of our conservative synagogues as well. It is predominantly solo or unison music accompanied by guitar or piano. The harmonies are folk like and diatonic. The style is similar to either musical theatre of the Eighties or folk music of the Sixties and Seventies. As of late, there is a plethora of faux Hassidic nigunim (lai, lai, lais, aye, aye, ayes, and bim bam bidi bams) proliferating throughout the service. At times extreme crossover secular and Christian styles including reggae, rap, and gospel are also heard. The elementary range and lack of complexity in the melodies are intended to promote continuous congregational singing. The texts are short and undeveloped and the remedial use of English texts replacing the original Hebrew continues to grow in popularity. There is a noticeable but inconsistent deference shown to gender and politically correct communal sensitivity in both new texts and altered traditional texts. Temple choirs (almost exclusively heard on the High Holidays) continue to be mixtures of a few paid professionals and mostly, minimally trained amateur volunteers with discouraging performance results. The tempo of the service has become faster with fewer moments of meditative silence between concerted sound events. What is the negative space of all this? What, in contrast, is not heard? There is less unaccompanied chanting or improvisation in the Hazzanic modes; Cantors and song leaders with pop voices requiring amplification are replacing Hazzanim with trained voices capable of performing classical Hazzanut as well as artful music. The sound of the organ has been replaced by the piano or guitar and acoustic instruments are quickly giving way to electric emulations. There is little or no counterpoint in the voices or in the accompaniments. Instrumental preludes, meditations, and postludes are disappearing quickly. There are less sophisticated melodic, harmonic, rhythmic or textural features to the selections. There are little or no pulpit operas or sermons-in-song. More varied classical forms have yielded to standard song form, less Hebrew is chanted by the cantor or sung by the congregation, and certainly fewer congregants can even read Hebrew. English translations are less poetic than ten years ago. Ironically, the new reform “people’s siddur” Mishkon T’filah, has more left-brained directions and information saturating each page than ever before, leaving little room for the right brain to dream in prayer. Using Benson’s Past-Present-Future analysis one might conclude that there is little historicity in today’s music. Cantillation, nusach, or Misinai tunes are hardly developed as much as the latest groove from a pop tune from a few seasons ago. Traditional melodic quotes or motifs from former settings are rarely included, and few songwriters, dare I say, newly invested cantors today, knowingly incorporate the basic repertoire from fifty years ago. Historicity in music, and in general, is at an all time low. The propensity for klezmer and Hassidic sounds is really a fantasy concoction bearing no real organic connection with bleak former Ashkenazic periods in our history. In the comfort of our upper middle class affluence, the resonance of the shtetl has been grotesquely romanticized and venerated. when fully considered, as the misdirection for which they now function. The only realistic, possibly organic affinity with the past is that today we have a generation of jongleurs and troubadours in the folk tradition. One can only hope that some of these wandering melodic seeds will survive these dark neo-medieval days and take root to grow into more durable oaks in some future renaissance. In addition, the latent serious musical energy of the present that might blossom in the future is, empirically weak or non-existent. Bold, adventurousness has yielded to the hackneyed tried and true. There are no schools (including HUC and JTS) that train synagogue composers, and, subsequently, not even a handful of true composers can be identified to carry on composed Jewish music. There is no serious survival plan other than greeting the in-coming congregants at the door and giving them a non-stop revival entertainment! My colleagues and I, like an extended Mahleresque coda, are observing the sunset of a once vibrantly progressive synagogue music fading into darkness. So, what are we left with? The present. We are urged to live in the moment, forget the past (unless it is waxing nostalgic for Pale of Settlement crossover Cossack Klezmer music or faux Hassidism), and not to worry about or actively plan for the quality of our future. It is all very alluring on the surface because it doesn’t demand much thought and appears to be the quintessence of relevance. On a deeper level, however, it is overwhelmingly disheartening for this is not the elevated Jewish way of survival but a wholesale embracing of the Christian strategy for our assimilation and the inevitable disappearance of a continuum in our Jewish musical tradition. It has been said that the best way of eradicating Jewry is either through great evil and rejection by Gentiles or their great kindness and acceptance? But must we be our own executioners? The present worship service seems to bypass quiet meditation and devotion and has, itself, become the Oneg Shabbat replete with Bar Mitzvah bands, rock, reggae, black gospel crossover arrangements, and noisemakers at each seat. We clap and raise our swaying hands in assimilated solidarity with our Christian host culture and revel in the Golden Calf that is rapidly rearing its head in Minhag American worship. In the quiet moments of reflection, (which are now rarely within the contemporary service) it all seems like music designed by pulpit leaders and congregants who are in a rush to gulp down the fast food of prayer on the run, have a few nostalgic glimmers of something that never really was and partake in the obligatory culminating kiddush, before leaving an unengrossing and intrinsically unconvincing environment. It is sad but true. We are American Dybbuks, disenfranchised souls, nisht ahin unt nisht aher, neither here nor there, and our reform and conservative worship services are rapidly becoming irrelevant in our lives. 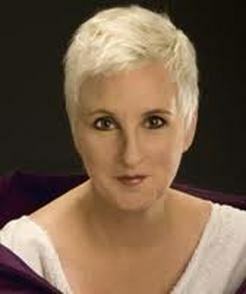 When I began composing for the synagogue I aspired to be part of an honorable compositional continuum that defined, by its music, both what being Jewish in America could mean on the highest level, and how a sense of dignified tradition in our worship could coexist with a musical language that looked adventurously and optimistically towards the future. Today, however, the opposite may be observed. Now, in spite of our affluence and education, too many congregants are floundering around in a morass of Jewish illiteracy. One can easily envision the adoption of a new “innovative, happening”, a Shabbat service of all wordless nigunim replacing the entire, existing Shabbat liturgy as more unschooled Jews become less skillful in reading Hebrew and equally unaware of our devotional traditions as well… Bim bim bidi bams all through the night. Could this be the key to understanding the present musical condition? Was it ever the former music that was at fault and had to be revamped or its milieu and congregation for whom it was presented? The German Philosopher Franz Rosenzweig has suggested that Torah is neither wholly divine nor wholly human, but rather a synthesis that is created in the space between God and Israel. A musical way of paraphrasing this might be to say that musical elevation and meaning is found in the space between the musical sound and the silence (if there is any these days). Could it also be found in the spaces between our existing worship services and their before and after environments in Jewish secular life? At too many other past forums of this nature, we have solely discounted the quality of the camp music of the present and exclusively lamented the loss of what is not being performed. Now that it has been expressed, today and for the next few days, I sincerely hope that we will minimize this peripherally therapeutic, yet, self-flagellatory tendency to kvetch and risk being quickly dismissed as simply Dead Minyan Walking. We need to intelligently and optimistically push on into the future. It is long past time to encourage and conceive of new intelligent music strategies by new composers that finds a holy space in the middle ground between the aesthetics of the past and the present. We must enable them to create new physical instrumentalities and presentational structures in untraditional sacred spaces to realize these musical conceptions. In other words, if we are to return to a sense of balance in Minhag American synagogue music, we need to stop saying Kaddish for the glories of the past, lamenting the childish music of the present and focus upon how we might regain an elevated equilibrium in the future. I imagine some of the reasons that I was chosen to offer this keynote are that during my career I have lived in both the popular and “classical” music worlds. I began in the late Sixties composing in what I thought the camp style could be; but after camp, I sought admission into the adult arena and went for further musical training. I did not make camp my year-round paradigm of Eden. I learned to compose and produce in larger, more adult forms. I have made my career not solely in Academia nor as a synagogue music director, but as a free-lance composer who lives in all worlds, conducting concerts, producing recordings, and talking to many congregations around the U.S. and Canada, listening and learning about all styles of music and speaking on behalf of no one constituency. This has allowed me to offer sincere observations and analysis about what I deeply care for and love on a level of honesty that is simply not available to full time temple musicians who need to please their rabbis and placate their temple boards to maintain their employment. So, in this chameleon-like garb, with 500 Jewish music publications and 50 CDs in this genre on my resume, I can say to you now that Synagogue music style (participatory or not) is not the underlying problem. It is, however, a symptomatic reflection of a larger, much graver condition that challenges the true value and meaning of prayer and community in Minhag America’s reform and conservative Jewish houses of worship. Marshall McCluhan still rings true - the medium remains the message. Visualize this: At home in the comfort of our well appointed family rooms, reclining in our comfortable leather Barcoloungers, viewing the large screen, color HDTV, listening to a televised concert in 2.5 sensurround sound, we, contemporary Jews, prepare for temple attendance by turning off our large screen plasma images with the incredible sound and get ready to regress to a hard, confining Puritan pew, stiff shirt, jacket and tie, and a restrained environment to endure the mediocre platitudes of talking heads and marginally performed music accompanied by elementary guitar strums. What is wrong with the sights and sounds of this picture? Do you see what I’m getting at? No matter how gleaming the smiles of our clergy, or how user-friendly the latest prayer book, any kind of sacred service performed under these mediocre circumstances would deliver a loud and clear message to souls eager to clap, jump, yearning to stand up, and just as quickly run! …. Out of the exit ... back to Friday evening J-Dating, back to bar hopping, or to that plasma TV in the den. Ironically, the only times that this marginal devotion does not apply are when there is a tragedy - in America, Israel or within one’s family - and people have to physically cling together under the shelter of God to find solace, or for our obligatory simchas where we spend obscene amounts of money to prove that we have, indeed, prospered and survived in our Christian culture. Congregational rabbis understand that we do function as an off-balanced people when we are either celebrating or in mourning, but if, thank God, we are on a fairly even keel, than we Jews, on a daily basis, are no better or worse than any other bored Christian churchgoer in America. The basic failure of American Jewry is not learning the kevah, the fixed structure, of how to pray to God during the good times in America without losing our kavannah and desire for introspection and inner repair. Rabbis, and temple boards understanding this, incorrectly opt for endorsing a smokescreen of constant participational euphoria rather than deal with the real issue of a failed Minhag American devotional structure, and environment that seems unessential in our lives. Take away B’nei mitzvah, Kaddish and Yizkor and you lose most of today’s congregations. Aside from revamping our physical spiritual environment, we need to, once again, make the programming content of our temple worship services more challenging and different than our Jewish secular experiences. I call this pursuit of elevation and advocacy of stylistic hevdeil in sacred music my “Playtex living bra philosophy”; to be precise, our best music should both “lift and separate”. This can hardly be accomplished through mediocre, adolescent, words and music. While we embrace choral and solo recitatives of quality during the High Holidays, we must also return each week to compelling presentations of uniquely distinct compositions having a loftier vision and higher meaning. We need to edit out pieces of lesser worth and recognize more durable settings. Towards this goal, here are four qualities that I use to distinguish works of significant Jewish music. With a philosophy of no more nor less than parity between the rabbinic and cantorial function of devotional leadership on a balanced bimah, these four are exactly the same criteria that a knowing rabbi would employ in his or her oral or literary communication. I recommend these criteria to you now in filtering out the wheat from the chaff when selecting sacred music of distinction. 1. Cognizance of simultaneous time. The work, in some identifiable way, must knowledgeably and simultaneously reflect, previous Jewish culture and/or learning, a compelling presence reflecting an aspect of living today, and by the inclusion of elevated, creative elements, project the genre into the future by breaking new interpretive ground or proposing unexplored alternatives for our deeper understanding. Musical settings that are deficient in any one tense are less good than settings that are mindful of these three concurrent time frames. 2. The work must elevate one’s thinking, spirit, and emotive life. I believe as the great British statesman Benjamin Disraeli did that we must: “nurture our mind with great thoughts. To believe in the heroic makes heroes” (“of us and our God”- my parentheses) After all, who wants to pray to a puny, pop deity? Why not just disaffiliate from Jewish life and worship the spirit of Jimi Hendrix? The great intellectual battle today is fought in opposition to those who diminish great ideas by discounting their importance, and trivializing them. Their arsenal includes quick expediency, lowest common denominator thinking, and false economic limitations in shoddy production. They emerge victorious when we fail to provide environments, both in time and space, conducive to understanding a creative work’s maximum potential impact upon an elevated life. Those who have been touched by great music and art, presented in the best possible way, know how life transforming and valuable they are. Most often it is not the music that is inferior or uninspiring but its performance and production. We must fight mightily to correct carelessness and sloppiness and bring back meticulousness on the Balanced Bimah. 3. The artistic work in worship services must access the emotive side of the brain creating a Havdalah, a separation between the sacred and the mundane. I don’t want my service music sounding like an I-Pod top ten menu. Throughout our history as a people, at the risk of societal rejection by the larger Christian mainstream, Jews ennobled and distinguished themselves through separation. Now acceptance into the majority, at any cost, threatens this distinction and fosters our collective extinction. 4. Ultimately, a sacred musical work should offer an artistic midrash or informed interpretation of the text or idea being presented. If the sole reason for a musical setting is merely to distract us by providing a catchy tune, or facilitating memorization of the text, the setting has not realized all that it can add to the larger construct. It is minimally significant and keeps us on an elementary level of appreciation that impedes a greater understanding. Once again, the four criteria for choosing our best music are: Do they possess 1. A sense of simultaneous time, 2. Elevation of thought, 3. Separation from the secular, and 4. A creative midrash? For those who argue that Jewish music must be always sung by the congregation and never listened to, that it must only be participatory and not presentational, I respond by suggesting that as we benefit by listening to a great drash from a learned rabbi, so balanced, active listening and understanding of midrashic music by a skilled, Hazzan is certainly equally beneficial. When actively heard, it can be totally participatory in bringing the text and its musical setting to an elevated emotional presence in our lives. The purpose of worship is so much more than facile, momentary ecstatic distraction. The rabbis even teach in the Talmud the principle of shomeiah k’oneh – that listening with proper intent is the equivalent of responding. Are we to be relegated to only being Jews in an eternally reactive mode? Shouldn’t our contemporary spirituality be a quiet, constant, companion in our daily life; fully integrated within our human condition? Should not the temple service punctuate a week of committed, assured spirituality? Where are the new sacred spaces outside of the Beit T’filah to promote this 21st century affinity with our God? Where are the spaces between the traditional delineations? For sometime I’ve been producing CDs of Jewish content for listening and learning in our cars during rush hours, or in the home as we relax and repair for the evening. I coined the term Drive-time Judaism for the first and Electric Judaism for the second. Both are ways of bringing the sounds and lessons of the synagogue into the immediacy of our busy schedules. Shacharit worship service televised on cableTV. Electric Judaism is with us if only we will seriously acknowledge and financially support its utilitarian and artistic potential. Don’t you think the Minhag American sector should have an elegant televised worship service by now? Why hasn’t it happened? Is televised Judaism only meant for Christian and Chabad fund-raising? We don’t even have a Lamp Unto Our Feet half-hour format that we had forty years ago. When we leave our homes and cars to cling to each other in the Beit K’nesset for whatever reason, let us make that environment visually and aurally contemporary and compellingly attractive and the musical programming more sophisticated. Exclusively favored folk songs and hand waving might satisfy the child in us but certainly not the adult. Must we relate to God as children all of our lives? When we present literary and musical ideas we desperately need to return to excellence both in content and performance. I want to listen to a sermon that is well prepared, insightful and delivered with the highest homiletic and literary quality. I want to read or recite responsively a prayer in English whose sense of language surpasses gender or political correctness and thrills me. I want to hear music that ennobles my prayers. In business, art, or in worship there is simply no substitute for excellence and quality control. Parenthetically, there is an incident that has taken on mythic proportions here at HU.C. It seems that many years ago when the School of Sacred Music was still in its former building, I attended a performance of one of my sacred services by the Cantors’ student chorus that was so poorly prepared and sung that I was obliged to let the students know how disappointed this composer was and how he was certain that they could do so much better. They tell me that following the performance I even declined to stand up and take a bow. I’m told that while it was more than thirty-five years ago, there still isn’t enough time set aside to prepare sufficiently. The old worn out canard suggesting that cantors are klei kodesh first and musicians second, must have been propagated by either controlling rabbis or bad cantors. Without eminent musicianship, musical kavannah pales. Thankfully, loftier entrance requirements, the quality of present music education and performance has improved here at the School of Sacred Music and at J.T.S. but to what end? Our newly invested cantors attain a pulpit only to put up with amateurish standards all over again. Who is standing up for professionally high standards today? Where are their scruples and why are they not incorporating them? Why is our worship service lackluster, our music continually adolescent and assimilative, our service language less than poetic, our leaders less than inspired and our temple members less than generous with their financial support? Who is there for us today saying the ”emperor has no clothes”? “What percentage of charitable gifts in excess of a million dollars contributed by persons of Jewish origin during the past decade went to Jewish charities and causes? According to a recent study, the answer is, only 5%. The remaining 95% went to universities, hospitals, symphony orchestras, art museums, charities and relief agencies – all worthy causes but unrelated to the Jewish community. With all the needs of the Jewish community, why only 5%? Are these philanthropists markedly assimilated? Are they disillusioned with the Jewish community? This accounts for part of the phenomenon. But according to the study’s author, who interviewed several of the major donors, their principal reason was that the Jewish community presented no idea big enough to inspire a multi-million dollar gift. Where are our big ideas? direction of lofty dreams yet to be realized. In the Prophet’s eyes, even our very best isn’t ever good enough. The Prophet compels us to think bigger, see farther, dream mighty dreams, and accept nothing less than the best. In the ancient history of Israel, Kings and Priests frequently united to silence the Prophet’s voice. It is in their immediate interest to suppress the Prophet. But they ultimately do so at their peril, for without Prophets, vision dies. Without Prophets, the community loses its powers of moral imagination and its capacity to generate dreams. Without Prophets, the community’s passion is extinguished. In our Jewish community and its institutions, we have effective Kings and inspiring Priests, but who are our Prophets? Have we a community that welcomes the Prophetic voice and tolerates the Prophet’s withering critique? Do we celebrate Prophetic visions or dismiss them as foolhardy? Who in our community is assigned the task of dreaming big dreams, big Jewish dreams? For the past generation, our community has enjoyed a consensus about the issues that matter most. Despite all our differences, survival was everyone’s number one priority. Survival meant fighting anti-Semitism, protecting Israel, welcoming immigrants and transmitting Judaism to the next generation. Survival is a holy purpose, particularly after the horrors of the Holocaust. But survival is a very conservative objective. We now face a generation asking, Survival for what purpose? Why survive? As I write this, I’ve recently learned that a member of a temple in Los Angeles a noted philanthropist just pledged $6 million to the Los Angeles Opera to stage a Wagner “Ring” cycle but has not and will not offer anything remotely near that figure to his congregation for its building fund. Who are our musical prophets and how, in the future, can we encourage them to enter our Minhag American synagogue experience? This is the crux (or Magen David) of the central issue before us. It is one that I hope we will earnestly address and wrestle with during this conference. It is not simply the style of service music being heard, so please do not fall into the trap of focusing upon and lamenting what is only a reflection of the problem. Music, and especially our sacred music, is an all too easy scapegoat for a much more comprehensive dilemma. The real topic for conversation is how do we grow and nurture a future generation of prophets and welcome them once again into our worship experience. We need to reacquire prophetic vision, not mirrors reflecting our host Christian culture, to reclaim our legacy. I mentioned the seduction of in-home entertainment and other competing programming and cultural event attractions that lure synagogue goers away from weekly attendance to more engrossing experiences; but these are only the tip of the iceberg. The other two ancillary issues that we must also address in the next few days are the general dumbing down of our society, and Deconstruction as the new artistic Ism, one that demolishes 20th century values to create the new 21st century of our children’s generation. The dumbing down issue is manifest in all parts of our society. My Christian Music Director friends complain about it in their services in the exact same way that I do. Maybe we should just give up and give in? Maybe society has fallen far too low to be repaired? But then I’m reminded of Rabbi Adin Steinsaltz’s observation. He characterized the western ideal of good times as “Wine, Women, and Song”. But the Jewish way, he taught, is always one of elevation, meaning “Kiddush, Kiddushin, and Shir Hashirim”. This is the remedy for a dumbed-down America. Our mission as Jews is not only to recapture a sense of excellence about, what we think, and how we embody our own values, but also to rededicate our country, to the elevation of the trivial, to higher vision, to renewed meaning, and to have zero tolerance for altered truth and un-holiness in our leader’s use of smokescreens and deceit. Instead of aping current trends in pop and folk music we need to encourage and create musical settings that illuminate the deeper midrash in our prayers. While rabbis undoubtedly understand the value of midrash in their interpretive supporting literary texts, I keep wondering why they fail to understand this necessity of midrash in our service music. Too many pulpit leaders, not knowing the greater repertoire nor understanding music’s powers of comment, see it merely as an interim to keep the congregation moving, swaying, and distracted while they prepare their next rabbinic interjection. Then there is the issue of Deconstruction as the new Ism in the postmodern artistic world. It’s a complicated subject to fully discuss at this juncture, but we see and hear it all the time and can understand it, in context, from former periods of deconstruction. Venerable traditions, classic works, and older masters, must be metaphorically destroyed before the new generation can claim the cultural turf as their own. This has always been operative. Consider the end of former eras and the transition into succeeding ones: the Rococo period, the Romantics, 20th century Impressionism, Les Six, the Dadaists, the Serialists, the Minimalists, and now the 21st century Deconstructionists. Jewish Camp music in the Late Sixties clearly began as an exercise in Deconstruction. I know because I was there. We did not give a hoot about the worth, legitimacy, or traditional ties of our parents’ past Jewish musical legacy or our responsibilities as maturing adults to carry it forward into our collective future, we were young and robustly full of ourselves in the exhilarating green fields of the Sixties and the world belonged exclusively to us. However, unlike many of my contemporaries, I came home from camp after the summer and went ahead to study and musically develop. Where do our campers go today to musically grow up after camp? The amazing and amusing part to all this is that a transitional phase of teen age summer fun and games has become today’s worship establishment; precisely because one does not need much schooling or craft to know or care that much about the past and its treasures, or the consequences of the future to solely espouse camp music at countless services and endless Biennials that scream out congregational participation is the only way to go. It is all too easy to be mindless. It is far too simplistic and ultimately, by precluding musical and textual elevation, it continues to dumb us all down into being perpetual adolescents and robs us of our capability to embrace the greater wisdom of our faith. But we, here today, must be insistent and keep asking the salient questions: “Where are our Prophets?” and “How do we welcome them back into our Minhag American Jewish experience? It must be more insightful than falsely laying the mantle of excellence on mediocrity or crowning less distinguished figures with laurels and Honoris Causa degrees. To counter the dumbing-down syndrome, and a propensity for Deconstruction, education is always the most effective remedy. Too many of our young pulpit leaders throw out tradition, and their synagogue musical yerusha (legacy) from the past, before they even discover and learn about it. Student rabbis and cantors need to be taught and working rabbis and cantors need to be reminded. Toward this end, more than merely casual suggestions, I offer you now a list of ten educational imperatives to once again regain our lost legacy and realize a synagogue musically Balanced Bimah in our future. This, my friends, is the “author’s message”. 1. Require an HUC and JTS five-year synagogue music survey course for all student rabbis. The present six-week courses in cantillation and Jewish music are woefully inadequate to even begin to prepare a rabbi for the future decisions he or she will be mandated to make. When rabbis respond by saying “This is music the congregation wants, I interpret it as “This is the only music that I, their rabbi, have heard, feel comfortable with, and understand” Rabbis need to know more about music in general and have a wider palette from which to make informed choices. It is only with a thorough, developmental understanding of synagogue music by our future rabbis that we can ever hope to balance the status quo. 2. Require CCAR & RA annual in-service courses to remind rabbis of their synagogue musical legacy. All other professions require developing literacy and awareness as a condition of maintaining professional standing, why not the rabbinate? Each rabbinic convention needs to have this component added. If rabbis are to make musical policy, they are obliged to know something more than merely the new catchy tune they heard last year at camp. 3. Require ACC/GTM, & CA in-service courses to enrich working synagogue musical leaders. These courses need to be more extensive than just an afternoon at a convention. For Temple music professionals there has to be more than periodic repertoire updates. Musical skills need to be elevated on an ongoing basis. As one composer has suggested, there is no use composing more interesting music if cantors and musical directors are not able to read or accurately perform it. 4. Require a course to teach cantors to stand up bravely and be musical leaders on the pulpit. Teach them how to envision greater dreams, learn effective techniques of fund raising to make these dreams realities, and wisely counter lesser ideas by musically untrained rabbis and controlling temple boards. We are graduating cantors with great talent and potential but not nearly enough courage and salesmanship to stand up and speak out against mediocre programming while promoting comprehensive alternatives. 5. Seek funding and create an in-home DVD series of these seminary courses for all URJ and US members (especially temple board members). Let’s digitally disseminate this information for the laity as well who have so much leadership power now. Electric and Distance Jewish Education will also bring back balance. 6. Offer synagogue music composition extension courses at HUC & JTS for trained composers. Isn’t it about time to welcome trained composers back in to Minhag America and offer them Jewish midrashic and worship components to stimulate their already developing secular musical creativity? 7. Co-offer with Columbia, NYU, or CUNY a synagogue music composition graduate degree. How are we to create a new generation of synagogue composers without providing a methodical curriculum and an educational home for their graduate study? 8. Embrace the Internet and phone tree technology as effective distance-learning tools for synagogue worship music education. With so many ideas floating around, we need to consistently remind our congregants of what great Jewish music sounds like. Where are these music wave files on HUC’s and JTS’s websites? 9. Produce televised Minhag American Shabbat, Festival, and High Holiday musical services to showcase our musical treasures encouraging the disaffiliated to become active again in synagogue life. According to media exposure, the only Jews that are on TV are dancing Chabadniks. They are to be congratulated for embracing the outreach of TV and we, in Minhag America are to be called to task for continually missing this wonderful opportunity. We have the message and resources to do better than that. Here is a grant proposal for a “big Jewish idea” that we all should be writing and proposing to our local Foundations. 10. Encourage, as a condition of full temple membership, a level of Hebrew literacy from all congregants. The more elevated the admissions standards, the more appeal and prestige membership will once again have. We need to raise standards not continually lower them. Very simply, we must demand that more Jews know something, once again, about their spiritual language and are at the very least able to read Hebrew from a siddur. Every prospective family should be gifted with a CD for learning Hebrew. It is now easier than ever to learn at home or in their cars through “Electric Judaism”. If these educational measures are not realized in the immediate future, I sadly but confidently, predict that in the “Young Israel” style of amateur pulpit leadership, both the need for and relevance of the reform and conservative cantorate will rapidly disappear. Consequently, present support cantorial schools will also become obsolete; academic centers of the past will be replaced by far less elevated, minimally professional, amateur song leading Institutes, who, in the minds of governing synagogues and temple boards today, are certainly “good enough” and far more cost effective. After all, why hire a ninety thousand dollar a year cantor right out of school when a song leader and para-clergy can both be hired for less than that? What is at stake here is the very future of a professional presence in synagogue music. It is no longer simply about what music I like or what music you like, it is about maintaining an enlightened presence on a balanced bimah before our musical legacy totally disappears and is forgotten. The Cleveland Museum of Rock and Roll and the Experience Music Museum in Seattle are there to worship Elvis and Jimi Hendrix. Will there be a museum to remember our classics of Jewish music? Or will it be dust in the wind? Ultimately, even a recorded music repository like the Milken Archive is insufficient without an enlightened hands-on educational strategy to reeducate our people in how to listen to their lost legacy and encourage new works by new musical prophets. A prophet is not just another average Joe who writes a L’cha Dodi. A musical prophet brings balanced knowledge, developed craft, honed perspective, and insightful dedication to the task of renewal. If we do nothing but lionize the past, rue the present, and numbly accept the current downward spiraling musical trend toward the future, our children will also remember this passivity as our legacy to them. To aspire to a greater future, we can and must do better. Responding to this call to action not only honors those who preceded us and validates our own watch, but affirms that Judaism can and will sustain its vision of balanced elevation in a future world so desperately in need of it. Let’s talk about this during the next few days. Let’s focus on welcoming back the prophets into Jewish life and into our music. When I was first starting out in Los Angeles as a motion picture composer at Universal Studios, I was assigned a symphonic orchestra to perform my dramatic scores each week for the first of television’s mini-series Rich Man Poor Man. Then some years later, because of unionized economics, I was asked to cut down the orchestra from a 30 member string section to 15 live players and include a string synthesizer to give the illusion of a robust, full string section. My friends, this is how the myopia and hyperbole of cultural and synagogue rhetoric drags us all down. First it is temporary economics, and then it becomes economics with aesthetic rationalization, and finally with lack of memory and ignorance, the trivial substitute is hyped as an equally elevated concept and, worse, becomes the new norm. I have touched upon many issues in this keynote to stimulate active discussion during the follow up presentations. With gratitude and congratulations to my friend Dr. Jack Gottlieb for having the insight and wisdom to initiate this conference, to Michael Leavitt, President of the American Society for Jewish Music for his skilled administration and choices, to my fellow composers who have all been my teachers, to my old friend Cantor Israel Goldstein the Past Director of the HUC-JIR School of Sacred Music, to my new friend its present Director Cantor Bruce Reuben, to my distinguished Brooklyn landsman Hazzan Henry Rosenblum of JTS, to Professor Mark Kligman and for all who have gifted me with the opportunity of addressing you. I say thank you with this final quote by the great Talmudic scholar Rabbi Adin Steinsaltz, one that encourages elevation, renewal and change. I wish us all renewed hope, rededicated vigor, and informed focus in regaining a balanced bimah of musical worship and prayer; one that joyfully welcomes back our prophets. Will this be a new beginning or the final cadence?